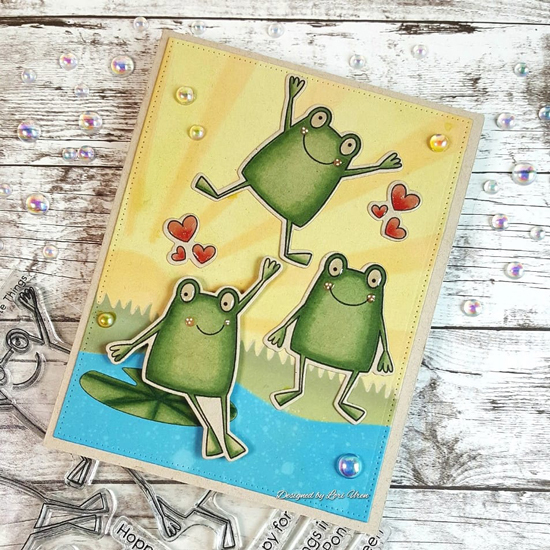 We're jumping for joy over Lori's fabulous pond scene - we love how she incorporated all three of the toads from the TOAD-ally Awesome stamp set into her design along with the heart trios. The added sunrise and sparkling blue water complement her images perfectly. Toni created a split design on her card, and we love the final result! She paired the adorable Rain or Shine images with her stenciled sunrise and used the sentiment strip to separate the sunshine from the storm clouds above. Such a clever design! 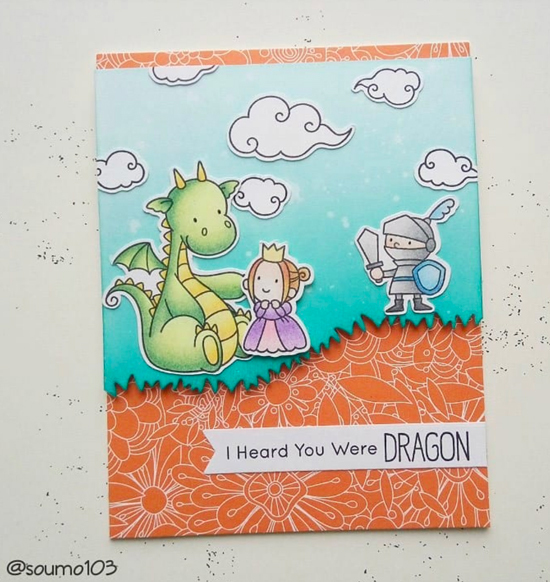 An amazing card design by Kathrin featuring so much detail and dimension! 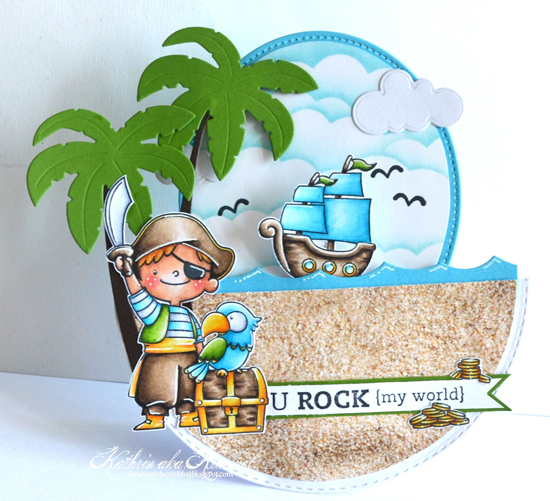 The circular card base is fun on its own but adding in all of the layers and elements on her pirate scene really made her card a fabulous work of art! Barbara created a stunning background with the Peek-a-Boo Polka Dots Die-namics - she raised it off the card front with foam adhesive to add shadows and dimension and added an inked panel behind it with a gorgeous combination of greens and blues. 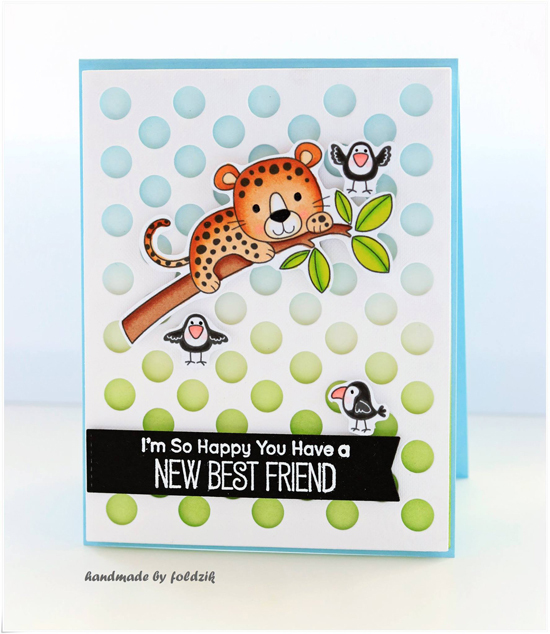 Her sweet safari images and bold sentiment complete her card design. We love the color palette that Sou chose for her card. The bold orange pattern peeking out from either side of her scene is totally unexpected and really helps the blue sky and fairytale images stand out in the design. The Grassy Fields border at the bottom of the sky panel adds detail and further emphasizes the uniqueness of her card. What a nice start of a day! Thank you very much @mftstamps for spotting my card! 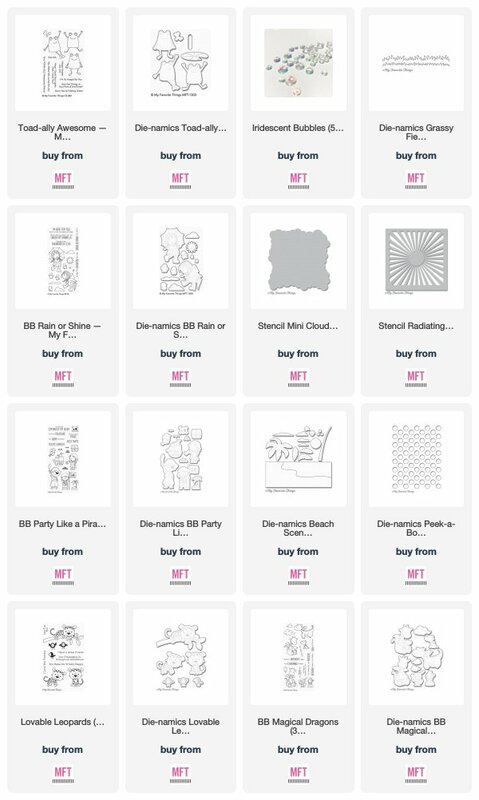 Thank you so much for spotting my card - that totally makes my day! I was happy myself how this one turned out and seeing others like it, too, makes me really happy. Congrats ladies so well deserved, these cards are fab! An inspiring group of cards. The design and detail on all these cards is amazing. Thanks for sharing. Thanks so much what a wonderful surprise! !